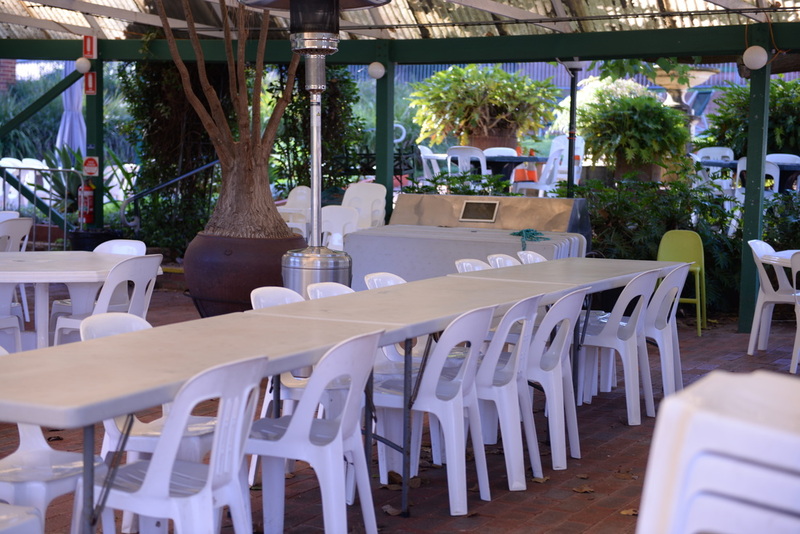 We do not charge for setting aside an area for groups of 10 or more. Just a chance to get together! Choose between an air conditioned indoor area, or the fully sheltered pergola area, where you can keep an eye on the kids in the playground. We have kids chairs, high chairs, colouring pages and crayons. Bring BALLOONS and CAKE and CELEBRATE. Strictly no BYO alcohol, soft drinks, beverages or food. (except for your celebratory cake). Have your own exclusive bar set up:- Staffed for 4 hours duration. 2 tap beers of your choice, with access to a selection of packaged drinks, your wine selection and soft drink cans. Drinking water on tap.